Which One Do You Like? 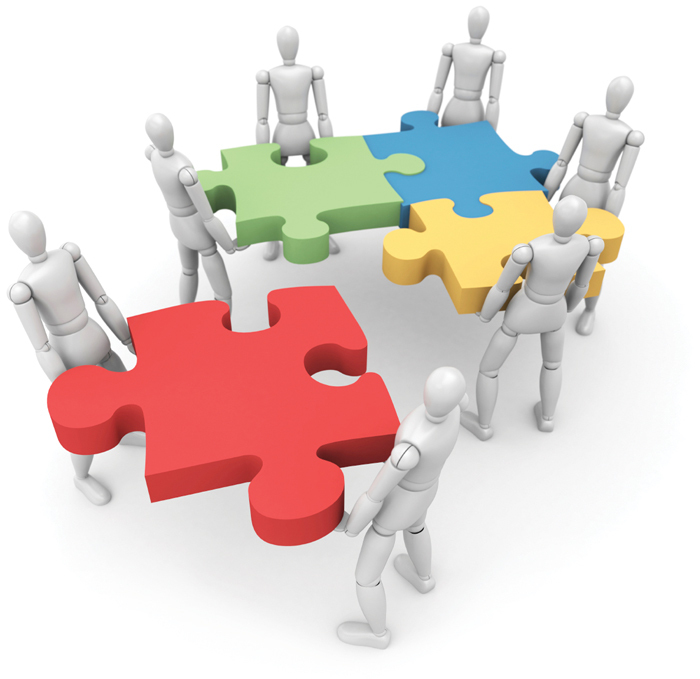 Healthcare Insurance Exchanges or Marketplaces? If a Medicare staff recommendation is okayed, health insurance exchanges may be re-named. According to Kaiser Health News , that is because, Medicare officials say consumers understand words like “marketplace” better. “We are recommending not using the word ‘exchange’” in enrollment materials, said Julie Bataille, director of the CMS Office of Communications. While Bataille didn’t mention the preferred substitute, she dropped hints. “Words like ‘marketplace’ resonate much more with the consumer and also tend to be something that is all inclusive,” Bataille said. According to Bataille, “exchange” can have a number of different meanings to consumers, including the idea that they may have something to trade. The Patient Protection and Affordable Care Act (ACA) requires the federal government to establish health insurance exchanges in states that refuse to create their own. They are often described as online marketplaces similar to Travelocity.com or Amazon.com, where consumers can search for insurance policies that fit certain criteria. Enrollment information will become available in the fall of 2013 and the exchanges — or whatever the ultimate name is – will start operating in 2014, unless the Supreme Court declares the law unconstitutional. The word “exchange” appears 247 times in the ACA, while “marketplace” is not mentioned once, according to Kaiser Health News. But that doesn’t mean officials are obligated to use it, said Brenda Cude, a professor of consumer economics at the University of Georgia and a consumer representative for the National Association of Insurance Commissioners. “I don’t believe that Congress is any kind of expert on how to communicate with consumers,” she said. But “marketplace” may not be a fool-proof alternative, Cude said. She is concerned that comparing a health insurance exchange to a shopping website encourages the notion that the lowest price policy is the best choice. That may be true when looking for a commodity like a cheap airfare to a single destination, but not for healthcare policies offering different benefits. Bataille said the Medicare staff’s advice to avoid the term “exchange” is supported by external research and the agency’s focus group testing this year in Cleveland, Dallas, Miami, Philadelphia and Phoenix. CMS “routinely” tests its materials and websites with consumers “to make sure we are serving our beneficiaries as well as possible,” Bataille said. “So we see our work on the exchanges as an extension of that.” According to Bataille, CMS will seek public comment on the enrollment materials before finally deciding whether to use the word “exchange” or “marketplace”. As the nation waits for the Supreme Court to rule on the Patient Protection and Affordable Care Act (ACA), a key provision that will transform the delivery of healthcare is moving ahead. According to Kaiser Health News, the Obama administration announced that 27 health systems have been designated as Accountable Care Organizations (ACOs) in Medicare’s Shared Savings Program, which offers financial incentives for physicians, hospitals and other healthcare providers to create more integrated healthcare delivery. The new ACOs will serve an estimated 375,000 individuals in 18 states. ACO supporters say they improve care for Medicare beneficiaries and slow rising costs by altering the incentives that affect how physicians and hospitals operate. Experts cite as models such respected health systems as the Mayo Clinic and the Geisinger Health System of Pennsylvania. Rather than being paid for each service, ACOs reward providers that manage chronic disease and meet certain quality standards, including reducing hospital admissions and emergency room visits. If they improve care while holding down costs, the systems can share in the savings. Late last year, the Department of Health and Human Services (HHS) chose 32 organizations to participate in an advanced version of the Medicare program. These “pioneers” have made significant progress in developing the ACO model, with many already largely functioning as ACOs. During their first two years the pioneers will assume more risk, but with a greater potential reward. Although hospitals were expected to lead the ACO field, Blum noted that the majority of ACOs are physician-led organizations. He also said many of the organizations are working with private health insurers to serve patients not in the Medicare program. Chas Roades, chief research officer at the Advisory Board Company in Washington, D.C., warned that as the ACOS take off and “people actually start to deliver care in a different way, it’s messy and complicated. There will be successes and failures, and it may go slower than policy-makers would like it to.” According to Roades, it’s important that CMS create some way for the pioneer ACOs to share their data and best practices. “It’s a slow ramp but everyone will be watching very closely to see how these early ACOs succeed,” Roades said. Under the shared savings program, ACOs must meet 33 quality measures relating to care coordination and patient safety, appropriate preventive health services, improved care for at-risk populations and the patient experience of care – while reducing the costs of care. ACOs that meet the standards will be eligible to share in the program’s savings. “We are encouraged by this strong start and confident that by the end of this year, we will have a robust program in place, benefitting millions of seniors and people with disabilities across the country,” said CMS Acting Administrator Marilyn Tavenner. Approximately 20,000 physicians in four Midwest states recently had a sneak peak at their financial future. According to Kaiser Health News, they were e-mailed links to Medicare reports detailing the amount their patients cost on average as well as the quality of the care they provided. Additionally, the reports showed how Medicare spending on each doctor’s patients compared to their peers in Kansas, Iowa, Missouri and Nebraska. The so-called “resource use” reports, which Medicare eventually plans to distribute to doctors nationally, are one of the most visible phases of the government’s efforts to enact a complex and delicate although little-known proviso of the Patient Protection and Affordable Care Act (ACA): paying more to doctors who provide quality care at lower cost to Medicare, and cutting payments to physicians who add to Medicare’s costs without improved results. Requiring providers to pay closer attention to cost and quality is seen as crucial if the nation is to succeed at controlling its healthcare spending — currently more than $2.5 trillion a year. It’s also vital to Medicare’s solvency. Efforts are already underway to transform the way Medicare pays hospitals, physicians and other providers who agree to work together in accountable care organizations. This fall, Medicare – which covers 47 million seniors and disabled people — will fine-tune hospital reimbursements based on quality of care. It plans to take cost into account as early as next year. But applying these same precepts to doctors is much more difficult, experts agree. Doctors see far fewer patients than do hospitals, so making statistically accurate assessments of doctors’ care is much harder. Comparing specialists is tricky, since some focus on particular kinds of patients that tend to be more costly. Properly assessing how a physician impacts costs must include not just the specific services provided, but also care other providers may give. Medicare officials are attempting to improve the way they measure physicians as they follow the ACA’s directive to phase in the new payment system, called a Physician Value-Based Payment Modifier, which is scheduled to begin in 2015. At first, it will apply solely to physician groups and some specialists selected by the government; by 2017, the payment change is intended to apply to most if not all doctors. The assessment “is a very important change we’re putting into place, one where we’re going to need a lot of feedback and deliberation,” said Jonathan Blum, CMS’s deputy administrator. “We’re not blind to the challenges that are coming toward us.” Although the program is still being worked out, it will become reality for many doctors in January, because CMS wants to base its 2015 bonuses or penalties on a doctor’s patients’ outcomes during 2013. The Department of Health and Human Services (HHS) has issued its final rule aimed at implementing state health insurance exchange provisions of the federal healthcare law. The rule becomes effective 60 days after it is published in the Federal Register. The regulation outlines details of the exchanges, which are scheduled to launch on January 1, 2014, and offer insurance plan options for individuals and small businesses, as well as federal subsidies for premiums. The final rule outlines the minimum standards states must meet in establishing and operating their exchanges, such as individual and employer eligibility for enrollment. The rule also outlines minimum standards that health insurers must meet to participate in an exchange and the standards employers must meet to participate in the exchange. The regulation offers states “substantial discretion” in how to design and operate their exchanges. HHS will accept comment on nine sections of the exchange rule, including provisions regarding the ability of a state to allow agents and brokers to assist qualified individuals in applying for advance payments of the premium tax credit and cost-sharing reductions for qualified health plans; Medicaid and CHIP regulations; options for conducting eligibility determinations; and verification for applicants. This final rule does not address all of the insurance exchange provisions of the Patient Protection and Affordable Care Act (ACA). Among the regulations are a guide to set standards for establishing exchanges; setting up a Small Business Health Options Program (SHOP); performing the basic functions of the exchange; and certifying health plans for participation in the exchange; as well as setting up a streamlined, web-based system for consumers to apply for and enroll in qualified health plans and insurance affordability programs. The announcement is the culmination of more than two years’ work with states, small businesses, consumers, and health insurance plans. The administration examined models of exchanges; convened numerous meetings and regional listening sessions across the country with stakeholders; and consulted closely with state leaders, consumer advocates, employers and insurers. To finalize the rules, HHS accepted public comment to learn from states, consumers, and other stakeholders on how to improve the rules; HHS adapted the proposals based on feedback from the American people. Unfortunately, many state lawmakers are hesitant to move forward with creating the exchanges until the Supreme Court has ruled on the ACA’s constitutionality, according to Joy Johnson Wilson, federal affairs counsel and health policy director at the National Conference of State Legislatures. “It’s fair to say that legislation has kind of slowed,” Johnson Wilson said, noting that many lawmakers are taking a “wait-and-see approach” in anticipation of the high court’s oral arguments this month. Legislators do not want to make plans that have to be revisited and revised, Johnson Wilson said. Despite the ambivalence of some states, they will be given great flexibility in setting up the exchanges. The concept is the eligibility for determining the premium tax credit is going to be done by the exchange…but also in the state-based exchange to allow — whether it’s a web-based broker or a small-business broker or agent — to interact with the exchange in an automated way,” Tim Hill, deputy director in the Centers for Medicare and Medicaid Services insurance-regulation office, said. “Those are all relationships that are regulated on the state level…to determine the fee structure for how agents or brokers can be compensated for bringing business to the exchange,” Hill said. “That’s something we’re going to leave to the state.” Hill said allowing third-party companies or brokers access the exchanges will help inform people about the insurance exchanges. “There are lots of folks out there who can generate interest and marketing…it’s a source of leverage that we want to leverage if the states choose to,” Hill said. As the Patient Protection and Affordable Care Act (ACA) celebrates its second birthday, the Obama administration reminded senior citizens – one of the most reliable voter blocs — exactly how much healthcare reform has helped them. Coverage of the “donut hole” in prescription drug plans saved five million seniors and disabled people $3.2 billion. According to data from the Centers for Medicare and Medicaid Services (CMS), through the first two months of 2012, roughly 103,000 Americans saved $93 million in the donut hole. “Without the healthcare law, more than 5.1 million seniors would have faced $3.2 billion in higher drug costs,” Health and Human Services Secretary Kathleen Sebelius said. The donut hole is a gap in coverage for prescription drugs under what is called Medicare Part D. Part D covers 75 percent of the cost of prescription drugs until total medication spending for the patient hits $2,800. Then the hole opens, and seniors must pay out of pocket until they have spent $4,550. After that, Medicare pays about 95 percent of drug costs. The ACA sent all seniors who hit the prescription drug donut hole a one-time $250 check. In 2011 and 2012, seniors in the donut hole receive a 50 percent discount on brand-name drugs. Additionally seniors covered by traditional Medicare received wellness check-ups and screenings for diseases like cancer and diabetes without paying anything out of pocket. Under the law, the donut hole phases out in 2020. In terms of implementing the law to meet the 2014 deadline, the ACA leaves it up to the states to set up health insurance exchanges. In states that refuse to do that, HHS has the authority to create a federal exchange as a backup — but it could be stretched thin if it has to cover too many states. At the moment, a number of states are not making plans and the federal exchange could end up covering as many as 15 to 25 states. Other states are biding their time depending on the outcome of the Supreme Court case — and the elections — to decide what to do next. There’s an excellent possibility that many of them won’t be far enough along by January of 2013, when HHS has to either certify the states’ exchanges or prepare to run a federal exchange in those states. HHS has already extended the deadline for states to apply for the grants that will help them run exchanges. And it’s taking other steps to help states that won’t be ready in time. But if a lot of states refuse to create the exchanges –and more time won’t help them — HHS will be forced to act. White House spokesman Jay Carney told reporters that President Obama is looking beyond past battles. “He is focused on a forward agenda right now, and working with Congress and doing the things he can through executive action to grow the economy and create jobs,” Carney said. The Department of Health and Human Services (HHS) is formulating a new initiative to reward hospitals for the quality of care they provide to Medicare patients and reduce healthcare costs. Authorized by the Patient Protection and Affordable Care Act (ACA), the Hospital Value-Based Purchasing program marks an historic change in how Medicare pays healthcare providers and facilities — for the first time, 3,500 hospitals nationwide will be paid for inpatient acute-care services based on care quality, not just the quantity of the services they provide. This initiative supports the objectives of the Partnership for Patients, a public-private partnership that will help improve the quality, safety and affordability of health care for all Americans. The partnership has the potential to save 60,000 lives and up to $35 billion in U.S. healthcare costs over the next three years, including up to $10 billion for Medicare. Over the next ten years, the Partnership for Patients could reduce costs to Medicare by about $50 billion and result in billions more in Medicaid savings. The Hospital Value-Based Purchasing initiative is just one part of a broad effort by the Obama Administration to improve the quality of health care for all Americans, using important new tools provided by the ACA. The Partnership for Patients brings together hospitals, doctors, nurses, pharmacists, employers, unions, and state and federal government committed to keeping patients from getting injured or sicker in the health care system and improving transitions between care settings. The Centers for Medicare and Medicaid Services (CMS) is investing up to $1 billion to drive these changes. Additionally, proposed rules allowing Medicare to pay new Accountable Care Organizations (ACOs) to improve coordination of patient care are also expected to result in better care and lower costs. In essence, the program rewards hospitals that perform well on quality measures relating both to clinical process of care and to patient experience of care, or those making improvements in their performance on those measures. Hospitals that meet performance criteria will receive higher compensation. The hospital value-based purchasing program, which is expected to become effective in fiscal 2013 for payments for discharges occurring on or after October 1, 2012, would make value-based incentive payments based on how much the hospitals’ performance improves certain quality measures during a baseline timeframe. The better a hospital’s performance or improvement during the performance period, the higher the hospital’s value-based incentive payment would be, according to CMS. According to CMS estimates, approximately 50 percent of the facilities participating in this Hospital Inpatient Value-Based Purchasing program will receive a net increase in their Medicare payments. The other half will see a net decrease. Neither the increase nor the decrease will exceed one percent in the first year, CMS said. The better-performing hospitals in the first year have the potential to receive value-based incentive payments totaling as much as two percent of Medicare reimbursement, or a net one percent extra, CMS sees the program as “the next step in promoting higher quality care for Medicare beneficiaries.” When the program gets underway, CMS said, the government will reward hospitals on the basis of “actual quality performance,” and not just data. According to the AHA, the problem “is exacerbated in the outpatient PPS (prospective payment system) rulemaking cycle because it builds on policies that fail to comply with the law’s requirements.” AHA also expressed concern with how the agency handled the notice and comment process for the hospital VBP program, which “made significant changes to this program in three separate regulations,” and suggested that the agency choose a single regulation in which it will make any future changes to the program. Even though he just celebrated his 65th birthday, GOP presidential hopeful Mitt Romney isn’t signing up for Medicare or Social Security. According to an aide, Romney plans to keep his private health insurance plan although there is no word on whether he accessed that plan through a former employer or bought it on the individual market. Ironically, if elected, Romney wants to offer senior citizens the choice of enrolling in the traditional program or purchasing private insurance with some financial help from the government. Romney’s decision puts him in a tiny minority. The vast majority of seniors participate in Medicare. 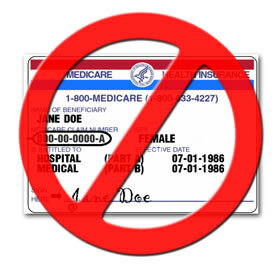 Nearly all seniors are automatically enrolled in Medicare Part A, which covers hospital care, although they can opt not to use it. Another 95 percent enroll in Medicare Part B, which covers physician services, according to the Kaiser Family Foundation. “It was personally meaningful in me to be enrolling in the program I ran. It made me feel one step closer to the beneficiaries,” Dr. Donald Berwick, who left his post at the Centers for Medicare and Medicaid Services (CMS) at the end of 2011, said. “It validated what I had thought — which was that it was remarkably easy [to sign up]. Any president, at any age, should be committed to these important programs,” Berwick said. By contrast, two of Romney’s competitors — Newt Gingrich and Ron Paul — are already 65, the age at which most Americans become eligible to enroll in Medicare’s coverage of hospital treatment, physician visits and other medical care, including prescription drugs. Gingrich has a Medicare Advantage plan, administered by Blue Cross Blue Shield, according to his campaign. Medicare Advantage plans are run by private insurance companies, who receive a fixed monthly payment from the federal government. Gingrich frequently plugs Medicare Advantage and wants to expand the proportion of seniors who enroll in it from the current 25 percent. Congressman Paul has a federal government-sponsored Blue Cross Blue Shield employee health insurance plan. He has said that he would not change any aspect of Medicare for current beneficiaries but would let younger people opt out of the program and use medical savings accounts or other ways to pay their own healthcare costs. 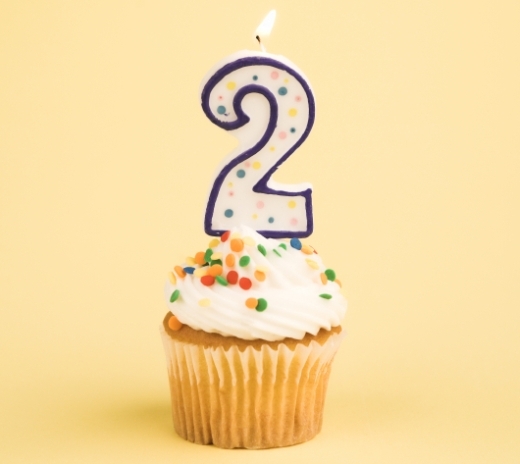 Beneficiaries currently have a seven-month window to sign up for Medicare: three months before their birth month, the month of their birthday, and three months after their birthday. That means that Romney has through June to enroll if he changes his mind. The majority of adults use the Social Security Administration website to enroll for their benefits, while others go to local district offices. The nation’s hospitals must demonstrate that they have collected the vital statistics of more than 80 percent of their patients in digital form if they want to continue receiving as much as $14.6 billion in federal grants for installing electronic health records (EHR) technology. Awards as large as $11.5 million are available to hospitals that can prove “meaningful use” of the equipment, under preliminary rules issued by the Obama administration. Physicians can apply for grants of $44,000 or $64,000, depending on whether they treat patients in Medicare or Medicaid. The rules continue carrying out an initiative in the American Recovery and Reinvestment Act (ARRA) as a step toward overhauling the nation’s healthcare system, specifically in the Health Information Technology for Economic and Clinical Health (HITECH) Act. Hospitals and doctors should achieve “substantial benefits” from adopting digital records, including lower record-keeping costs, fewer pointless tests, shorter hospital stays and reduced medical errors. The percentage of U.S. hospitals that have adopted electronic records more than doubled between 2009 and 2011, to 35 percent, according to the American Hospital Association. Approximately 85 percent of hospitals told the association that they plan to take advantage of government incentives by 2015. The government expects that by 2019, 96 percent of hospitals will adopt electronic records and at least 36 percent of doctors’ practices. In this second stage of adoption of EHR, the government is emphasizing making sure that electronic systems can talk to one another – or are “interoperable.” According to Kaiser Health News, it’s “a real push ahead,” said Farzad Mostashari, the national coordinator for health information technology. The rules require systems be able to transfer patient information across platforms. A “summary of care” — including past diagnoses, procedures and test results – must be able to follow patients across referrals and changes in health care provider. Additionally, the information should be available to some patients, who under Stage 2 requirements must be allowed to view their records online, as well as download and transfer information. 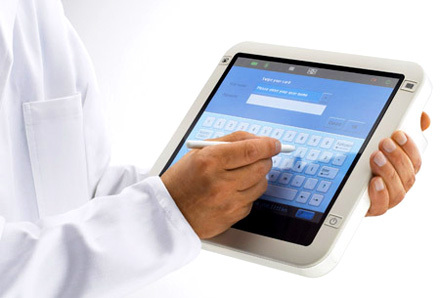 Finally, some patients must be able to communicate with their doctors through a secure, online system. According to a survey of 302 hospital IT executives, more than one-quarter said they had already proven to the Centers for Medicare and Medicaid Services (CMS) that they have met the government’s standard for the first stage of meaningful use of health IT. That means they have demonstrated that they have the baseline capabilities in their CMS-approved health IT system to collect and submit data. Stage 2 also deals with security of exchanging patient information electronically, particularly the risk of a doctor mistakenly leaving his laptop or iPad accessible to the public. “A huge, huge, huge portion of all breaches don’t occur because someone hacked into the system; they occur because people left their laptop on the train and they didn’t encrypt it,” Mostashari said. Medicare has plans to penalize hospitals that frequently readmit patients who really don’t need hospitalization. According to one estimate, this practice costs the federal government $12 billion every year. Medicare’s goal is to persuade hospitals to be certain that patients get the care they need following their discharge. This new policy is likely to excessively impact hospitals, particularly those that treat low-income patients, according to a Kaiser Health News analysis of data provided by the Centers for Medicare & Medicaid Services. Hospitals that admitted the most underprivileged Medicare patients were approximately 60 percent as likely to have significantly higher readmission rates for heart failure. At these hospitals, lower-income people comprise a larger share of the patients than they do at 80 percent of hospitals. Within 30 days of discharge, 25 percent of Medicare patients with heart failure are readmitted to the hospital. The Patient Protection and Affordable Care Act (ACA) has ruled that beginning next October, Medicare will fine hospitals whose patients who have had heart attacks, heart failure or pneumonia return to the hospital too soon. By 2014, hospitals with high readmission rates can potentially lose up to three percent of their Medicare reimbursements. Medicare has set aside funds so hospitals can more effectively plan patients’ post-discharge care. According to Patrick Conway, Medicare’s chief medical officer, some funds will be targeted to hospitals that serve significant numbers of poorer people. “We especially are concerned about safety-net hospitals that take care of a high portion of patients in poverty and racial and ethnic minorities,” he said. At the same time, his agency is committed to the readmission penalties, in part because it is the law and because it believes the penalties will persuade hospitals to be certain that patients get the follow-up care they need. Two of the most frequent reasons for hospital readmissions are medication errors and failure to see a physician – both of which could be reduced if patients were supervised through home care visits following discharge. ALTER+CARE's Inspire is a conversation about healthcare that reports and recognizes not only the challenges in our sector but also sees the great potential and promise we see to improve patient care through a strategy that integrates capital, buildings, physician recruitment, administration and outcomes. Join the discussion . . .
Bad News for Jobs Due to ObamaCare? Take the Long View. Copyright © 2019 The Alter Group, All Rights Reserved.